The Planning Notepad by John Krissilas: Connection Planning Part 3: Talk About Timing! Connection Planning Part 3: Talk About Timing! Part 3 of the Connection Planning Series will explore the idea of reaching the consumer at the right time. Want to read more about connection planning, the idea of reaching the consumer when they're in the right mindset, and the idea of using the consumer's environment to enhance the message? Check out Connection Planning Part 1: Mastering the Mindset and Connection Planning Part 2: Enhancing the Environment. 1) When is the consumer in the mindset that makes the idea most relevant? 2) When is the consumer in the environment that will bring the idea to life? 3) When is the right time to reach the consumer so they can act on the idea? This post in this series will cover the final point -finding the right time. When talking about timing, we must ask ourselves, "When is right time to reach the consumer so they can act on the idea?" Time represents the exact moment of time in which the consumer is in the right place and the right situation for them to act on, or respond to, the brand's message, an idea that's sometimes known as recency. When the problem to be solved or the brand idea being communicated relies on the consumer to be in a certain point of the day or a certain situation, we need to find the moments when the brand message will be especially relevant. Preferably, the product or service that we're selling will be close enough to that message in time and space so that the consumer can act on that message as soon as they've been impacted by it. Unlike finding them when they're in the right mindset and enhancing their environment, reaching consumers at the right time is more about conversion than it is about building the brand idea. When the consumer is reached at a moment when the message is most relevant to them and in a place where they can actually act on that moment, the tie between awareness and conversion is much stronger. Below are two examples of campaigns that have reached consumers at the right time. 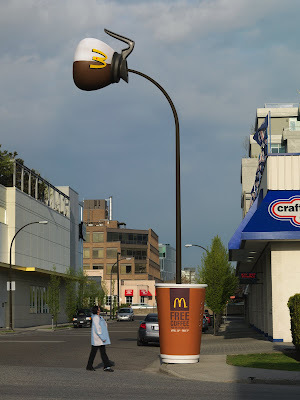 McDonald's has always been smart about using connection planning to reach their consumers at the right time, often going beyond TV and making use of some very innovative out-of-home. In one case, McDonald's was looking to build awareness of the fact that the restaurant uses freshly cracked eggs every morning to make its Egg McMuffins. In the other, McDonald's needed to build awareness of a new breakfast burrito. Finally, the restaurant was looking to build buzz and trial for its coffee relaunch by giving it away in the mornings for free. When is the right time to talk to consumers about eggs, breakfast burritos, and free coffee? The morning of course! In each of these examples, the brand tried to reach their consumers at the point during their day when they're most likely to respond to, and act on, their messages. What are those moments exactly? How about when you've ran out the door and are trekking along on your morning commute? How about when you're unwrapping the morning paper? How about when you're about to get into work and are itching for a dose of caffeine? 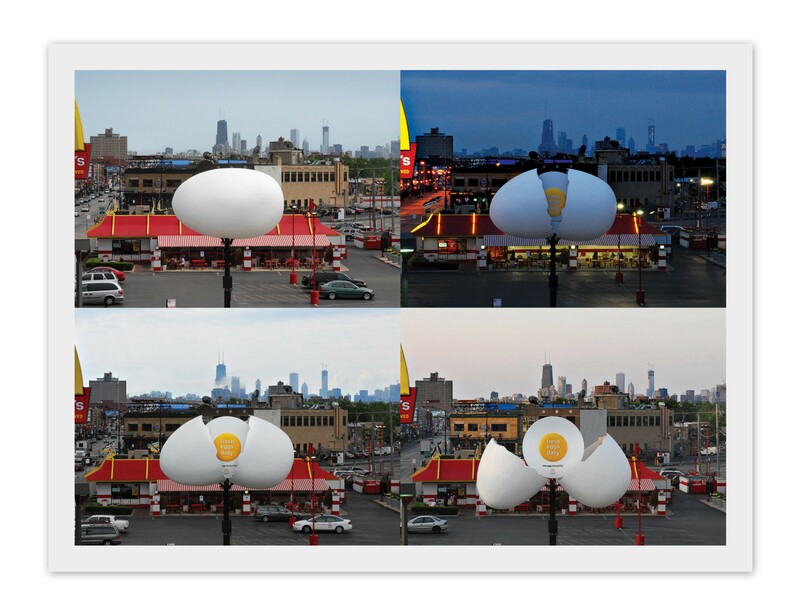 For the freshly cracked eggs campaign (see the image at the top), the brand set up a unique OOH execution that was timed along with the morning sunrise. As the morning wore on, the egg would crack open, revealing the yolk on the inside. For the breakfast burrito campaign, a Toronto Sun cover wrap, along with the wrap that keeps the newspaper in a roll, combined to create the illusion of a breakfast burrito arriving at your doorstep, wetting your apetite. 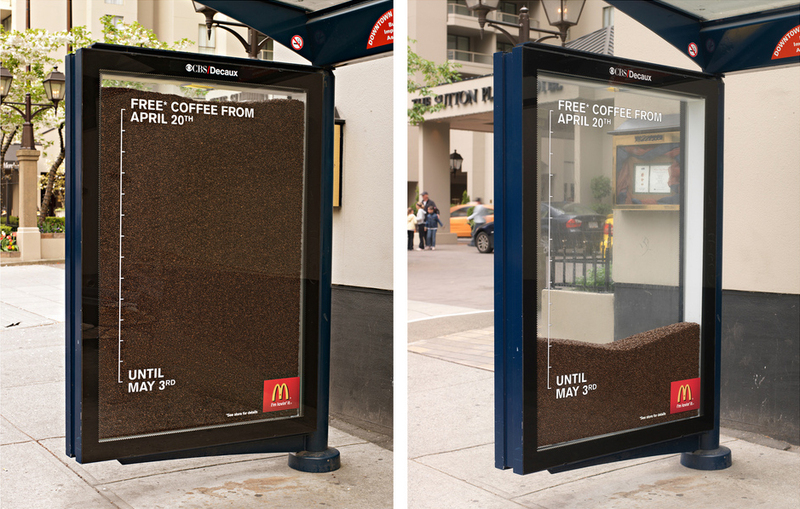 Finally, a steaming cup of coffee, a transit shelter filled with coffee beans, and a lamp post converted into the sight of a freshly poured cup of coffee, all worked to get the attention of consumers as they were on their way to work. P&G needed to build awareness and sales for two new products that it was launching - Tide Total Care and Downy Total Care. Both of these detergents aim to help consumers cut down on their dry cleaning bill by ensuring that their clothes look better longer. The idea is that with these new products, consumers can machine wash clothes that they would normally take to the cleaners. What better time to reach them with this message than when they are in the store, shopping for new clothes? 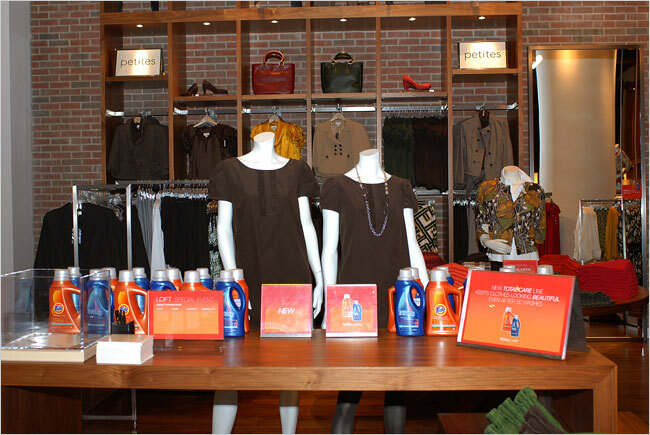 P&G partnered with US clothing retailer Ann Taylor Loft to feature the two brands in stores. Not too far removed from a shoe store attempting to sell customers shoe shining liquid to go along with the pair of shiny new shoes they've bought, shoppers at Ann Taylor Loft who have just bough brand new clothes are more likely to respond and act on a message about caring for those clothes from P&G. Sales associates at the chain handed out coupons and free product samples to shoppers that bought machine washable clothes, while posters and decals were placed throughout the store to call out the benefits of washing the clothes with Tide and Downy. In addition, Ann Taylor Loft produced a free 8-page magazine giving its shoppers tips on maintaining the look and feel of their clothes (which of course included using the new P&G products). That's it for now! If you have any interesting examples of connection planning that you'd like to share with me, please do. And the next time you're planning a campaign, remember to ask yourself: am I reaching the consumer in the right mindset, environment, and at the right time for her to act on my message?